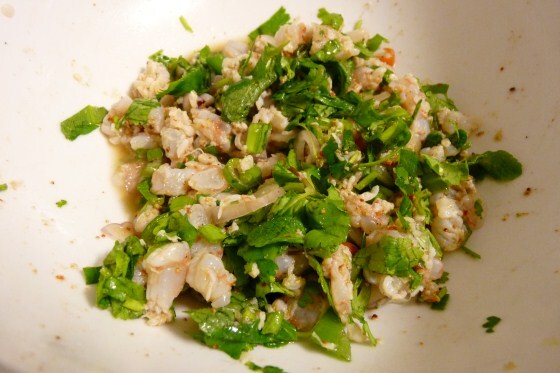 What did I do with the other half of fresh prawns that I bought to make Koong Chae Nam Pa? 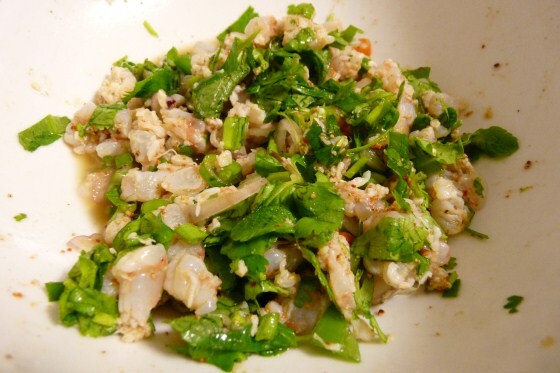 What else but to make Spicy Prawn Salad or Laap Koong and served with string beans, eggplants, and Lao parsley. 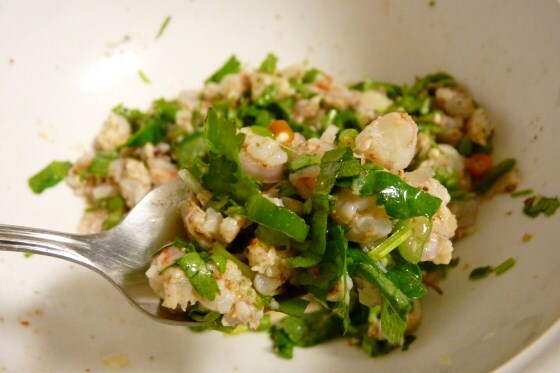 I didn’t have as much vegetables on hands but it was a good dinner and I can’t wait to make more of this Lao food dish.